Tomorrow is the last day of 2013 and I thought that today it’s the right time to have a retrospective look at the past 12 months and summarize it all in terms of new perfume launches. It’s the second time that I’m going to show you a list of my personal favourites. Last year I did a little bit more of a blog statistics summary giving you just a brief idea what I liked. For the end of 2013 I’d like to make a step further and in just a few seconds and begin a new tradition here. I decided that starting this year I’d like to highlight my own perfume choices by giving the chosen ones a virtual statuette of Bottle Awards in a couple of different categories. I know it’s not an Oscar and that it only has an emotional and sentimental value but I hope awarded perfume houses will appreciate it. However, before I reveal my favourite types for 2013 I’d like to present a few facts about my blogging this year. During the following 12 months I managed to discuss a total number of 125 fragrances, 32 as Monday Quick Sniffs and other 93 as regular reviews (featuring usually one, sometimes more scents.) The biggest discussion was caused by my reviews of Amouage Opus VII, L’Artisan Parfumeur Caligna and Aedes de Venustas Iris Nazarena. Most viewed – Prada Candy L’Eau review. Now lets proceed to the main stage where statuettes wait to be given to the winners. This year I bought 5 bottles of perfumes, first one in late February for my birthday and the last one in late November. Out of these 5 fragrances, 4 of them were launched in 2013. It was obvious for me that Silver Iris gave me lots of happiness this year. I adore my other bottles (I only buy perfumes I feel connected with) but Silver Iris was my biggest lemming this year. I have to admit I wasn’t diligent about mainstream releases this year. From just a part of the offerings that I tested I think that Jour d’Hermes is the best perfume for woman who appeared on the perfumeries shelves this year. It’s hard to admit to this choice, even more that I’m a non-Hermes person but lets face it, did you try something that would be better? Jour is the nicest, even though it’s totally not my cup of tea and I get a smell of boiling carrots from it. This year saw many new perfume releases and quite a lot of flanker editions of fragrances we knew from past years. Among these that I managed to try I think that Prada Candy L’Eau is the loveliest flanker of them all in 2013. It’s different enough to not call it a copy of the original and at the same time it shares the basic vibe of Prada Candy. Gentlemen also got their share in the perfume market in 2013. There were quite many releases (or at least more than last year.) Quite a lot turned out to be just generic, watered down perfume wannabes. The 1st masculine perfume from Bottega Veneta is one of these perfumes that don’t mimic anything, this perfume brought something new to the department stores perfume counters. Bottega Veneta Pour Homme deserves attention! This year I finally accomplished my mission of finding a lovely soft citrus fragrance I could use during summer. My choice, Eau d’Italie Acqua Decima happened to ring the right bell for me. It’s not only citrusy and fresh (thanks to mint), it also performs great when it’s hot outside. What more, this is a kind of perfume that totally makes me want to smile, laugh and have fun in the sun. It’s a heck of a happy perfume. In the group of perfumes that could be described as rich, shiny and luxurious, a special seat is reserved for Hedonist, created by young and talented perfumer Viktoria Minya. She managed to capture the aroma of rum, osmanthus, lactonic peach and other tones perfectly. She created a fragrance that is regal like a golden crown and red cape. A true homage to a life devoted to pleasures. We all know guilty pleasure has the sweetest taste. The latest release from the ultra luxurious house of Puredistance is a perfume named BLACK, a fragrant enigma of unknown perfume notes. Despite the fact of not being able to confirm any of the aromas this perfume whispers (It’s not even talking) to me as an elegant creation, made to be worn with white shirt, black tie, fitted suit and elegant cufflinks. The only barrier that stopped me from buying it is the price. When Chanel announced they will bring a new exclusive perfume inspired by a jewellery collection from 1932 everyone’s eyes were sparkling like diamonds. However as soon as first people started sharing their opinions they began speaking with one voice – that it’s not innovative at all and that it doesn’t live to their expectations and the name of Chanel. To me 1932 is a nice perfume but it truly doesn’t bring anything new. It’s just a perfume! Rima XI was brought to the market in early 2013 and it took several months before I tried it for the first time. It didn’t impress me then, it smelled kind of burned and plastic-y to me but I had a 2ml sample so I didn’t dismiss it. Couple more days wearing it and I changed my mind. I started appreciating the almost-caramely burnt aroma of cardamom and nuts, combined with mineral amber. Now I think I might be buying this someday. Oh, what have you done to me Amouage!? Your seventh tome totally didn’t speak to me, I even expressed it all in my review which turned out to be my best article about a perfume written in 2013. So many people were thrilled about my concept of “inner” and “outer” stratum of this fragrance. Nary a one scent was as challenging as Opus VII. I’d like to give an honorable mention to Jardins d’Ecrivains Orlando which is also one of the most challenging creations of 2013. Still it’s easier to wear that Amouage. In 2013 I had my first experience with natural perfume blends. If I didn’t make a mistake I tried 7 natural perfumes this year. Spiced Citrus Vetiver created by Laurie Erickson of Sonoma Scent Studio seemed most interesting to me and definitely closest to my own tastes. This fragrance is a lovely concoction of juicy smell of orange with a dry woody smell of vetiver. And it maintain a balance of these notes. Other perfume worth mentioning is also Hiram Green Moon Bloom and Giovanni Sammarco Vitrum. This year we were offered a surprisingly high number of perfumes with iris as a leading note. In a flash of light I can think of at least 4 and there were definitely more. The one that especially caught my attention is Iris Nazarena by Aedes de Venustas. It’s pretty interesting and different take on this precious material, to pair it with an ashy incense, metallic juniper and spices like star anise and clove. It wins in terms of being unusual. Rose was probably the most operated flower in perfumery of 2013. Numerous new perfumes and flankers with a rose theme are the undeniable proof. From so many roses the one that intrigues the most is the recent release of PHI Une Rose de Kandahar, a limited edition fragrance created by Andy Tauer of Tauer Perfumes. To pair the unique Nangarhar rose with rich apricot, cinnamon, sweetness of vanilla (almost honey) and tobacco? Risky but it paid off. The perfume sells rapidly and might be gone soon. I think this closes the list of the winners of Bottle Awards 2013. Please accept my virtual prize of a bottle statuette. In the end I’d like to say that my perfumes that were in the most intensive rotation this year include Prada Amber Pour Homme and Infusion d’Iris, Atelier Cologne Rose Anonyme, Carner Barcelona D600, Parfum d’Empire Cuir Ottoman and Histoires de Parfums 1725. What are your own favourites of 2013? What kind of awards would you give, who would get them? Hooray! Congratulations, Silver Iris, for winning in the most satisfying purchase category. Thanks to you, Lucas, I got the chance to smell this gem and it is thoroughly deserving of its award. It’s been brilliant reading your reviews this year. Here’s a toast to the next! Yes, congratulations Atelier Cologne and Silver Iris for the prize! Did you know Jillie that Atelier Cologne is already launching a new scent, a juicy citrus, Cedrat Enivrant. And I hope you’ll get your Silver Iris soon! Thank you and I’m looking forward to 2014 with sparkles in my eyes. Mmmmmm – the new Atelier sounds promising, and if it is as half as good as SI …… maybe it will be a citrus that has lasting power! I think it might be the one that lasts. I will tell you more as soon as I try it! It will be definitely sticking to the lower price range of AC. Lucas, I enjoyed reading your post. I definitely agree withyou on both mainstream choices as well as the flanker. 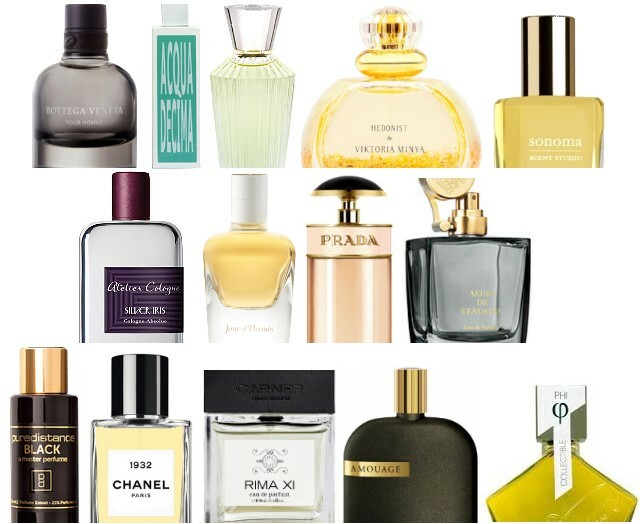 Since I do not do “best of” lists, I decided not to think about my personal “best”, “most favorite” and “most worn” perfumes until January when I start working on my stats post. The reason is simple: I do not want to see the results before the end of the year not to be tempted to wear one perfume or the other the last moment to change the stats. Thank you! I’m glad you agree about Jour d’Hermes and Prada Candy L’Eau. I’m looking forward to your statistics post in early January. I suppose it will contain the list of your most worn in 2013? Yah for Iris Nazerena. I love this award: The Most Contemplative and I love the winner. I wonder if it will remain there for 2014? I enjoyed your Bottle Award ceremony Lucas. A statuette no less. Chic alors Sabine. The Most Elegant, absolutely agree. Opus VII, about to open that book but do I need it in my library? Only one way to find out. Spiced Citrus; I wore this Christmas Day. That is 2 Naturals awards for Sonoma so far but I am still reading the other lists. Days of reading! Yay. Glad you liked the name “contemplative” for the award and that you agree with my choice. You mean you’re wondering if in 2014 there will be a perfume that would deserve a contemplative award? So happy you liked this post and a statuette! Sabine did a great job designing it and it wasn’t easy! Opus VII is a challenge, try it on your own. I wore PHI on Christmas. Kinda of: more like if there isn’t a 2014 contender does Askoka keep the award next year too? Until there is another Most Contemplative. Hi lucasai and congratulations on a year of great blogging. I love your list and it’s always really interesting to read about blogger’s personal favourites. For me, this was the year I discovered Iris after a long love/hate relationship. In fact I fell so hard for my former enemy that I asked for Prada Infusion D’Iris for Christmas and it’s wonderful! To me Ashoka was a hit, a very peaceful and tranquil perfume, it just had to receive the contemplative perfume award. And Opus VII, so hard to wear for me, a real challenge. Carner Barcelona Rima XI was a surprise that I changed my mind about it. And Silver Iris is gorgeous, have you tried it?? Had to explain why I love the Silver Iris so much – it’s what it is and what it isn’t! It’s sweet but not sweet. It’s woody but not woody. It’s fruity but not fruity! It’s carrotty but not carrotty! I smell iris, raspberries and soft woods, and no doubt some white musk. It is powerful (unlike so many current weaklings) but its sillage doesn’t knock you out, and it still whispers on your skin the following morning. Just wish it wasn’t so expensive, but I can think of a lot of fragrances in that price range that really aren’t as worth it as SI! Looks like you really fell in love with this perfume. I agree with you that it’s sweet, woody, fruity or carroty but all these aspects come in a non obvious way. It has its power and it has a sillage that somehow knows where it belongs, I mean it’s powerful but not overpowering. Wishing you a Silver Iris in 2014! Thanks so much for sharing this with us. Your Bottle Awards idea is absolutely charming. Get your tux ready for Hollywood! Or if you prefer, Cannes. I particularly like your more unusual sub-headings: most challenging, most contemplative, happiest and change of heart. I have not sniffed a single one on your list, although I do have a sample of Une Rose de Kandahar which is calling me from it’s little tin box. Ah, my list grows yet again ….. I so enjoy your blog, and it’s apparent how much thought and love you put into it. I am wishing you and all here a very Happy New Year. Haha, thanks! I’m glad you like the design. I love what Sabine did to design it! And I’m happy you liked those non-traditional category names. You should try PHI quickly, you might love it! I didn’t resist and bought a bottle. Thank you for the kind words and Happy New Year 2014! Love the categories. The only one I have is my gorgeous PHI sample but I will use your list to try these in 2014. Thanks so much, Lucas, for the award for Spiced Citrus Vetiver! Love your statuette illustration! 🙂 I really want to try Andy’s new rose scent and Ashoka — I need to get over to STC to order some samples. Happy New Year! So many deserving ‘fumes on the list! I’ve got to get my hands on a sample of Puredistance Black. *cheers* Hope you have a wonderful 2014! And yes, Prada Candy l’eau is gorgeous, the irresistable and sophisticated bottle – a true piece of art – would win my “prettiest flacon” category (and I am usually not much concerned about flacons). I wish you lots of exciting scent experiences and a Happy New Year – I look forward to read your blog in 2014!! You’re very welcome Anka! Rima XI is not my favourite Carner (D600 is!) but I cannot wait to try a new scent from them, to be launched in early 2014. I know what you”re talking about, I noticed that too. Great List!!!! I am so glad you gave Laurie the accolades she deserves. I adore Ashoka, also!! I really need to go sniff the Siver Iris and the Bottega Veneta. Thanks! Laurie’s perfume deserved it, so did Ashoka. Yes, you need to try Silver Iris! Bottle Awards – I love the name and the award design. As to my favorites of 2013, I’ll cheat a little and say that anything I tried in 2013 regardless of when it was launched have been considered; I am including only those that I own a FB. I probably forgot something but this list represents my 2013 favorites. Happy New Year, dearest Lucas. Your blog is absolutely one of my favorites! Hajusuuri, looks like you need a little bit of space on the stage so that brands can accept your awards and there’s quite many of them. Happy New Year, Lucas. Hooray for Silver Iris! I won 30 ml of it!–a bit of luck. I enjoyed your list. I’m big on Prada perfume, too. This winter I can’t get enough of Candy. Your post reminded me I need to try the flanker. Thanks for another great year of sharing your writing with us. How great that you won it, use it wisely and enjoy it! Candy is a hit for winter, my mum wears it too. A lovely and intriguing list that I will pore over once more in the days ahead I’m sure. Meantime… a very Happy New Year. I hope 2014 brings you every success that you so richly deserve. I forgot to post- love your lists and I agree wholeheartedly re Hermes Jour and Tauer’s PHI Rose de Kandahar. And I agree that Chanel 1932 was a letdown.